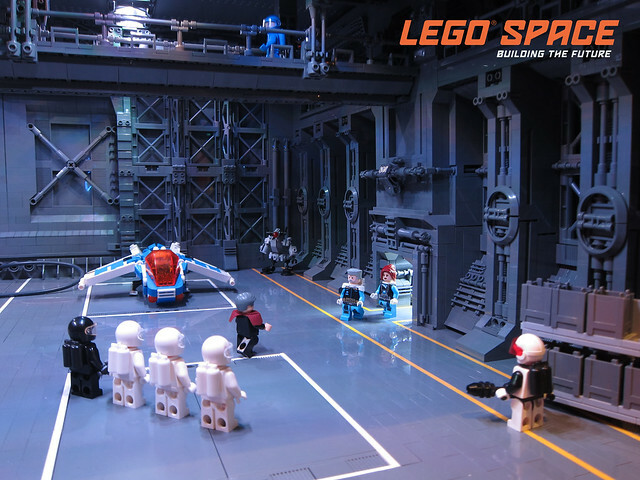 Like all the photography from LEGO Space: Building The Future, this shot by the team behind the book just leaves you yearning to step in and share in the adventure. It's like a scene in a movie. Can't you just hear the rumble of the ship? The footsteps echoing off the walls? The whine of an unseen machine? And of course the contemplative tones of the orchestral score.